Volunteer Day Back for the 3rd Year! 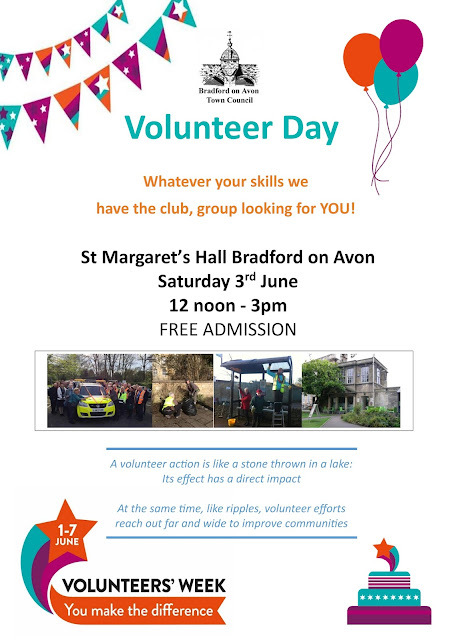 Bradford on Avon Town Council is once again providing a fantastic opportunity for local residents to join up with voluntary groups and charities, by inviting them to join in a promotional Volunteer Day at St Margaret’s Hall, Bradford on Avon on Saturday 3rd June between 12 noon and 3 pm. There is so much that goes on in the town and many of these activities would not happen without the time and skills of local volunteers. Extra help is always needed!